Today will be my second-to-last post about the July 23rd Langley City council meeting; the last council meeting before the summer break. I have posted about Langley City’s new community vision, future rail rapid transit, a new smoking bylaw, and community grants awarded in previous posts. A Committee of the Whole was held for people to provide feedback about an update to the City’s financial plan, and for a lane closure as shown in the following map. 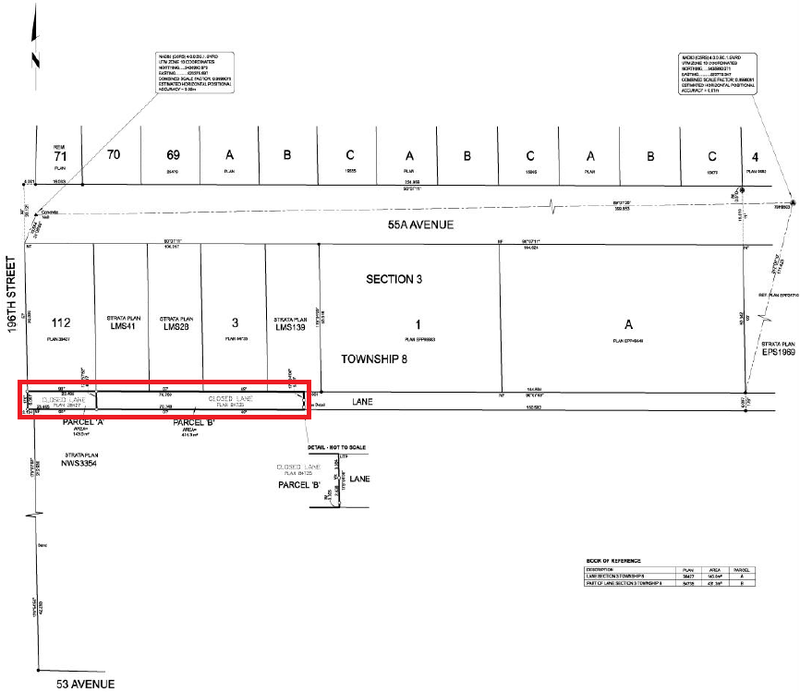 Lane closure near 55A Avenue and 196 Street, highlighted in red. Select image to enlarge. I posted about the financial plan amendment which includes $1.5 million from TransLink to support our road network and active transportation in a previous post. The lane closure will allow for a realignment of the lane near 55A Avenue and 196 Street to prevent the lane from being flush to the sound wall along 196 Street. There was no feedback provided by members of the public. Council gave final reading for the lane closure and the financial plan amendment. Langley City council approved tendering a contract for $610,391.32 to Mission Contractors Ltd. to replace the Muckle Creek culvert at 48 Avenue, and $609,000.00 to Mainland Civil Site Services Inc. to replace the Muckle Creek culvert at 50 Avenue. 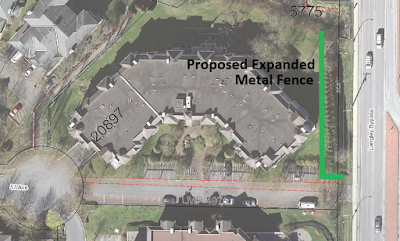 Council also approved up to $12,000 to share 40% of the cost with the strata at 20897 57 Avenue to install a fence as shown in the following picture. 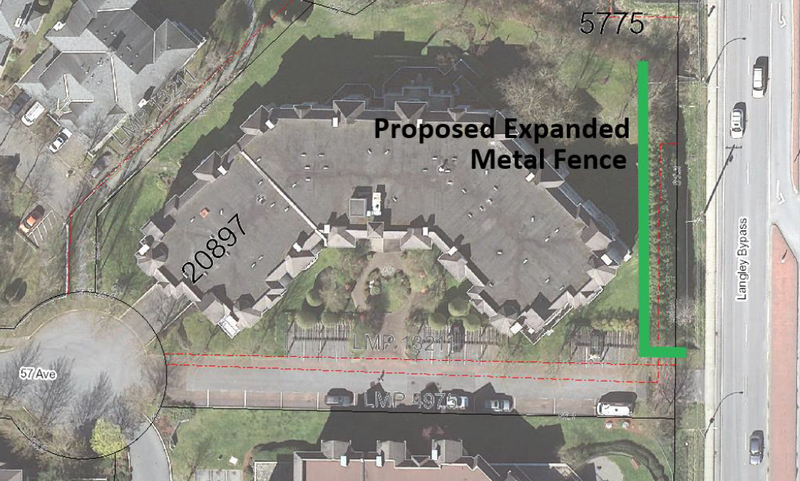 Location of proposed expanded metal fence at 20897 57 Avenue. Select image to enlarge. 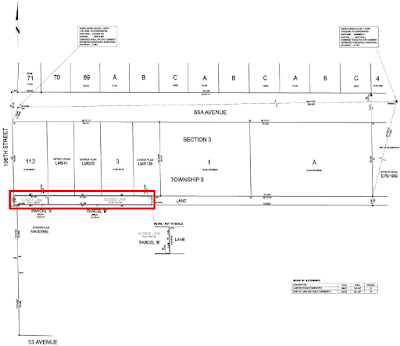 Council gave final reading to a rezoning bylaw and issued a deployment permit for 5471 & 5481 199A Street. You can read more about this development project in a previous post. Council also gave final reading to an updated Community Standards Bylaw, and bylaws that support it. You can also read about this in a previous post.